It was a busy morning for me. After my morning work out I was busily getting ready for my day, starting with my level 2 Reiki training and then heading up to Maryborough for a weekend away with a good friend of mine. 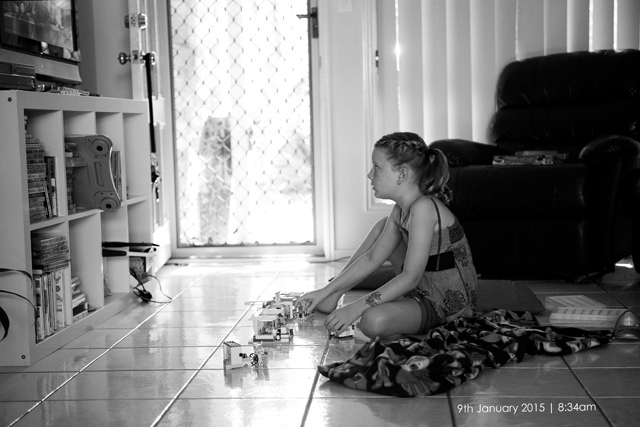 Just before I left I noticed Charlotte quietly sitting on the floor and playing with her lego and watching TV.